Once again we have welcomed in a New Year. If your New Year’s Resolution is to maintain your health and eat better in 2011, then pay close attention to these ten simple nutrition tips from Healthcentral.com. 1. Add more variety- Your body requires over 40 nutrients for optimum health. So in order to stay healthy you’ll want to indulge in a wide range of colorful fruits, vegetables, lean meats, fish, whole grains, and low fat dairy products to help ensure that you get the vitamins and minerals you need. 2. Reduce your portion sizes– By simply keeping tabs on your portion sizes you can reduce your caloric intake and as a result maintain a healthier weight. By still indulging in smaller amounts of your favorite foods you don’t feel as deprived. 3. Eat meals at regular times- Try eating several small meals per day in order to avoid unhealthy binge eating. It also helps to maintain a more stable blood sugar level, which is very important in keeping your energy level up all day. 4. Add more whole grain foods- Whole grains satisfy your body’s need for carbohydrates and also keeps your blood sugar swings to a minimum. It will make you feel fuller longer and keep overeating to a minimum. 5. Drink 8 glasses of water per day- Our bodies natural processes require water in order to function optimally. Water can also help you feel full, so drinking plenty of water can also prevent overeating. 6. Don’t skip breakfast- As we’ve all heard before, eating a healthy breakfast gives you energy and nutrients that you need to get through the day. After all it’s the most important meal of the day so even if you’re not a breakfast eater make it your New Year’s Resolution to try to eat breakfast every day. Studies show that people who skip breakfast are more likely to overeat later in the day. The best breakfast is one that combines lean protein, with a little whole grain carbs, and some fruit and/or vegetables. For example, an omelet filled with two types of vegetables, and one slice of wholegrain toast. Or, a small bowl of oatmeal topped with berries, natural yogurt, and crushed nuts. 7. Choose broiled or grilled food rather than fried foods- By simply broiling or grilling your food you can achieve a very similar taste to fried foods, but with significantly reduced fat content. 8. Be disciplined at the grocery store- It’s much easier to stick to a healthy diet if you try to only buy healthy foods when you purchase your groceries. It’s very difficult to avoid the temptation of cookies or chips when they’re sitting in your pantry at home. If you don’t buy them, you won’t be tempted to stray from your diet. Here’s an extra tip- instead of chips try pita chips and hummus and instead of cookies try fat-free pudding or yogurt. 9. Reduce your salt intake- Eating foods that are high in sodium can contribute to high blood pressure in addition to water retention and weight gain. Choose low sodium versions of your favorite foods if possible, and don’t add salt to your food if you can help it. Instead try flavoring bland foods with herbs, spices, or citrus fruits instead. 10. Reduce the unhealthy fats in your diet- Overly processed meats, or store-bought cakes and cookies, for example, tend to be high in trans or saturated fats, and these foods should be avoided mostly. However, you do need some fat in your diet. So, try using olive oil as a basis for salad dressings, cook with rice bran oil, use mashed avocado as an alternative to margarine spreads, and eat oily fish 1 or 2 times per week. Also, avoid anything that contains trans fats as much as you possibly can. 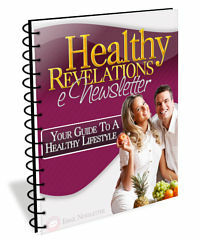 By following these ten simple tips you’ll be on your way to a healthier and thinner 2011.